If you are a Honda fan, you might be familiar with how Honda does a refresh on their models after a couple years of being in production. A refreshed model hit our lot here in Yorkton, Saskatchewan recently, and it has big changes. The refreshed 2019 Honda Pilot is here, folks! In this post we are going to cover all the differences made to the Canadian model for 2019. Starting with the vehicle exterior, you immediately notice the new front bumper. Some people say the differences are hard to spot; however, if you own a 2016 to 2018 model, you would see the slightest changes. The front bumper now resembles the current Honda Odyssey. The lower facia has been updated, and the biggest changes are noticeably the fog lamps and the skid plate in the middle. Moving up you can see that the grill has also been redesigned, and now shares similar styling of the Odyssey. This makes sense considering the Pilot and the Odyssey are on a similar platform. Moving to the side there are new wheel designs for the refreshed 2019 Honda Pilot. Looking from the rear may provide the biggest hint whether the current generation Honda pilot is the refreshed model or not. That is because of the redesigned tail lights! The interior exhibits a ton of changes that may surprise you. 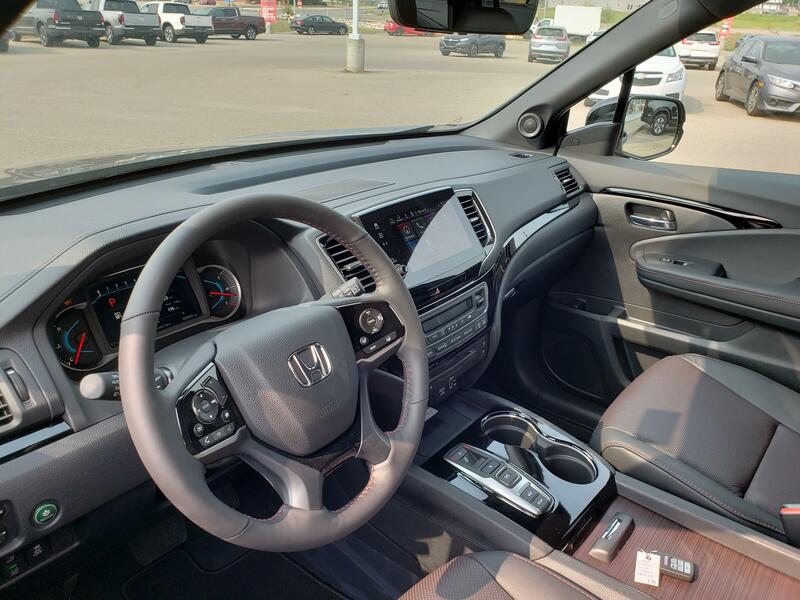 The dashboard in the 2019 Honda Pilot is similar to that in the Honda Odyssey. The centre screen has been updated with the latest technology. The volume knob has made a comeback once again! No more struggling to change the volume on the touchscreen display. The 2019 Honda Pilot now shares technology with the current Honda Odyssey. One feature allows you to talk to your passengers in the rear seats through the speakers or through the headphones. Another feature is a camera that even works in the dark and permits you to view what your passengers are doing in the rear! “Cabin Talk” and “Cabin Watch” are what these features are called, and they are a huge game changer for the Honda Pilot. Passengers in the back seat can connect their electronics to the centre console and watch movies via HDMI. New to the Canadian line-up will be an exclusive model called the Black Edition. Canada is the only country to get this vehicle based on a similar concept to the Black Edition Honda Ridgeline. The black colour vehicle sports impressive black alloy wheels, a black interior with red stitching, black edition seats and floor mats with logo. Lastly, we reveal the changes to the transmission system. The already smooth shifting Honda Pilot is now even smoother and has an all-around better feel. 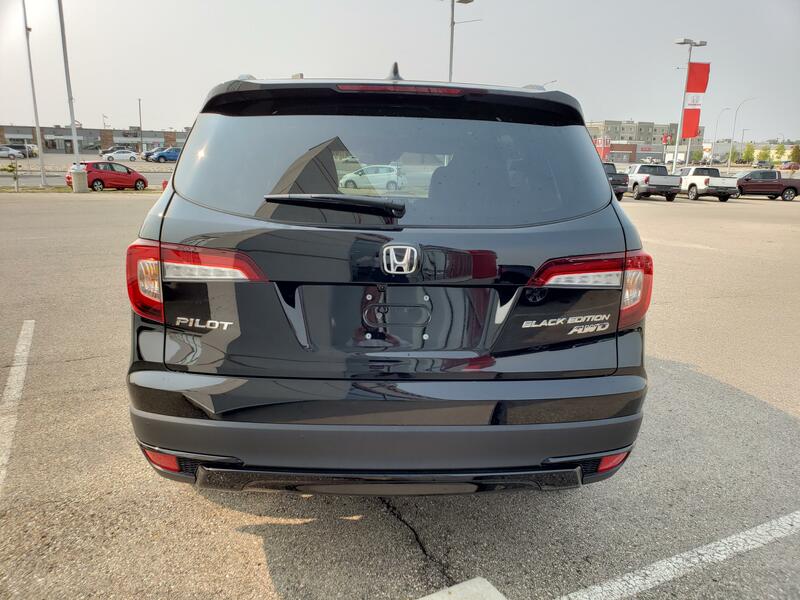 If you would like to be the first to check out new redesigned 2019 Pilot firsthand, then stop by Royal Honda today!